A rustic hand painted and hand crafted tradition from Mexico. 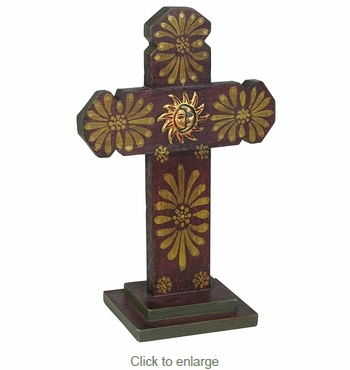 This wooden cross would be at home in a wall niche or as a focal point in a living or family room. A recreation of the crosses often found in country missions.